Florida voters approved a state constitutional amendment Tuesday November 8, 2016 to legalize medical marijuana. This amendment will broaden access to marijuana beyond the limited therapeutic uses approved by the legislature two years ago. Currently, the law permits non-smoked, low-THC pot for patients with cancer or ailments that cause chronic seizures or severe spasms. The ballot measure formally legalizes medical marijuana, and broadens access for diseases with symptoms other than seizures or spasms. Amendment 2 was heavily backed by Orlando lawyer John Morgan and the group United for Care. 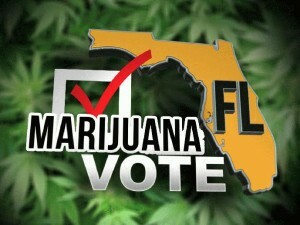 Florida becomes the 26th state along with the District of Columbia to legalize the marijuana plant for medical use. Before the passage of Amendment 2, Florida was one of 16 states where only part of the marijuana plant is used. The Department of Health will regulate how medical marijuana can be distributed along with mandating identification cards for caregivers and patients. Many rules and regulations — from how the marijuana is grown to regulations on how it can be transported for in-home delivery — already have been passed by the legislature under laws for limited use of marijuana. Those regulations also will apply to the constitutional amendment.